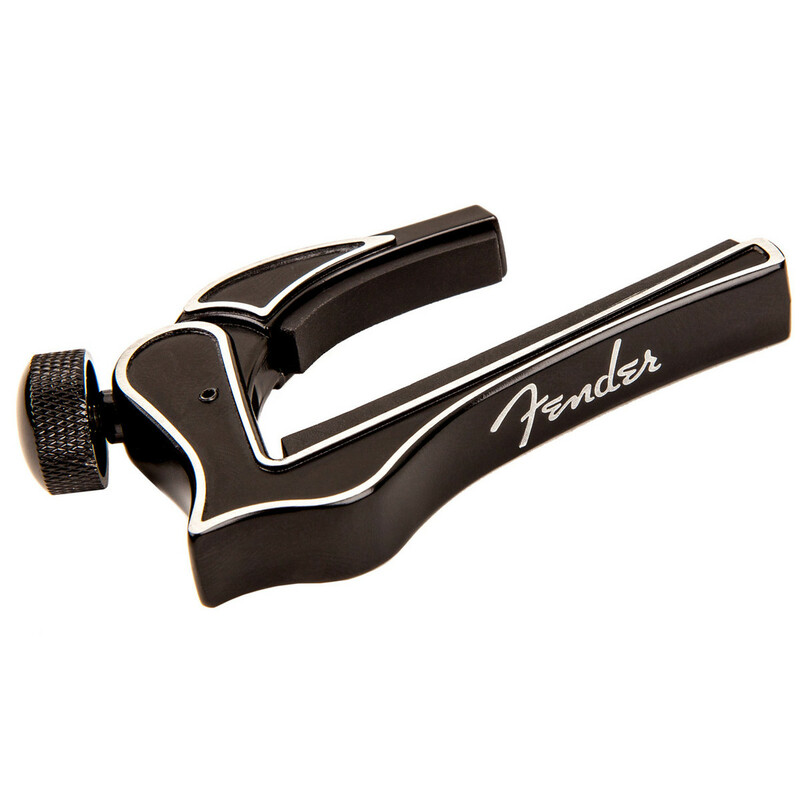 The Fender Dragon Capo is ideal for electric or acoustic 6 string guitars with radiused fretboards. It is lightweight, easy to use and safe for your guitar. 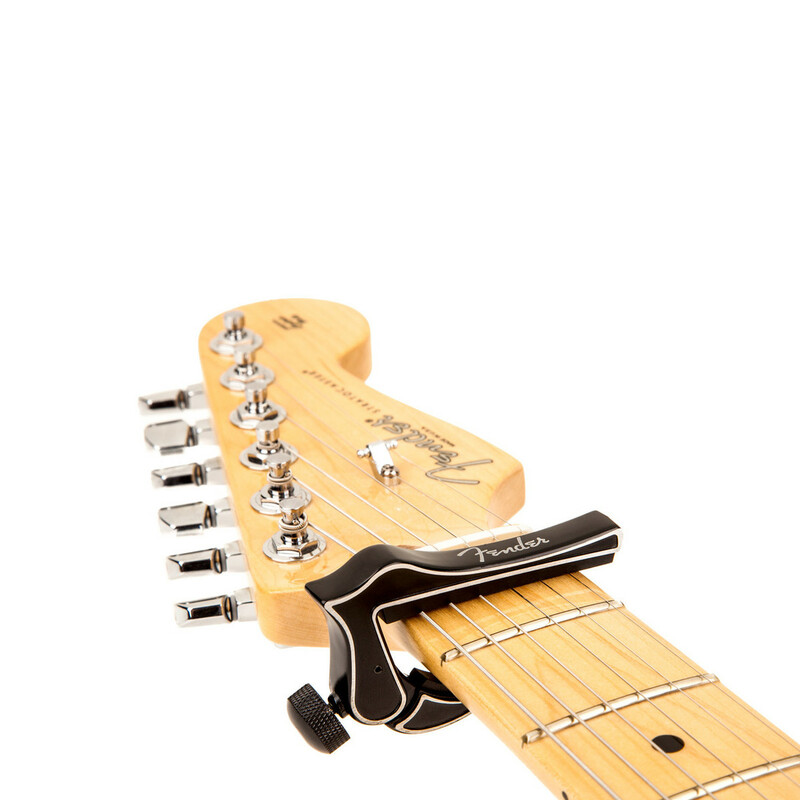 The Fender Dragon Capo will clamp at any fret on the exposed fretboard without interfering with your playing or damaging the neck finish. The convenient micro-dial thumbscrews let you change positions quickly and easily producing just the right pressure on the fret. The protective pads ensure that the capo will not damage your guitar.